Tuesday March 13, 2007 Iranians across the world celebrated the last Wednesday Eve of the Iranian Calendar year; called Chaharshanbe Soori. What I remember from my childhood in Iran is that this occasion was a day when my father and I would go out to a nearby woodland and gather dried bushes, and wood for the Chaharshanbe Soori celebration in our neighborhood. We would bring them and arrange them in our street with the help of the rest of the neighbors. The street would be blocked and at sun down, the adults would set fire to the kindling that had been arranged in piles in a row with the help of a bit of petroleum. I remember the goal of us kids would be to see who could jump over the biggest fire, so it was a bit competitive! The mothers would bring out sweets and dried nuts to share with the rest of the neighbors, and after a good run at the fire piles, we would head home. Usually by this time, the little kids would pass out from all the excitement of the day and the older kid would put a cloak of some sort, usually their mother&apos;s chador over their head and head out into the neighborhood with a pot and spoon in hand. They would go to each neighbor&apos;s house and clang the spoon to the pot (this is called “ghashogh zanee”). The neighbors would then fill the pots of these visitors with dried nuts, fruit, and in some cases money. The dried nuts that are handed out during this time are a special kind of nuts called “ajeele moshghel gosha”; which translates to “problem solving nuts”. I am not sure exactly how those nuts become problem solvers, but they sure are delicious! So now we come to the way we celebrate Chaharshanbe Soori away from the mother land. Chaharshanbe Soori cannot be celebrated the way it was in Iran due to fire hazard, neighborhood ordinances, etc., so the Iranian community has had to get a bit creative in celebrating this old tradition. Usually at some beaches people have permission to burn wood which is where a lot of Iranians go to celebrate Chaharshanbe Soori, but this doesn&apos;t have the same feel as doing it in the streets like back home. 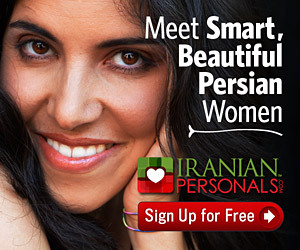 At the Persian Center (www.persiancenter.com) in Berkeley, California, they have come up with a great alternative. The Persian Center actually gets all the right permits from the Berkeley City Hall and organizes Chaharshanbe Soori with the help of community volunteers – in the street. The Berkeley City officials are very supportive of Persian Center&apos;s preservation of the Iranian Culture and have always taken the time to learn more about the culture and traditions. The City Council has even turned out on many occasions to celebrate Chaharshanbe Soori and Norouz. This may be one reason that the Berkeley City adopted a Resolution opposing military intervention or use of force against Iran…? Chaharshanbe Soori at Persian Center gets bigger and bigger every year. It has actually become its own Berkeley tradition for many local residence including the non-Iranians. It is more like a festival than a quaint little neighborhood celebration. People come from all over the Bay Area to visit with each other, eat delicious food supplied by the vendors, dance to the latest Iranian pop music, and of course jump over fire! Happy Chaharshanbe Soori and Early Happy Norouz!